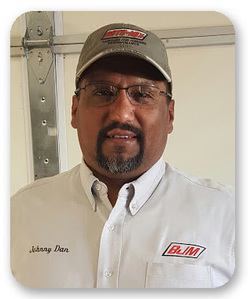 At BJM, our parts department has a simple philosophy...stock what customers need. So many times in this day and age, equipment dealers are stocking fewer parts, and relying more on ordering what a customer calls or comes in for. We understand that down time and waiting on parts can have a huge impact on your feeding operation. That’s why BJM stocks the full line of BJM and Roto-Mix parts. We also stock the most common repair parts for Supreme, Haybuster, Meyer, Easy Clean Bunk Sweepers, and Oswalt feed mixers. We have a large selection of Spicer, Weasler, and Walterscheid driveline components, as well as Chelsea PTO’s and repair parts, roller chain and links, and several lines of hydraulic pumps and motors. Give us a call and let our parts professionals help you get you equipment back in operation. We are currently expanding our parts warehouse to better serve our customers parts needs!